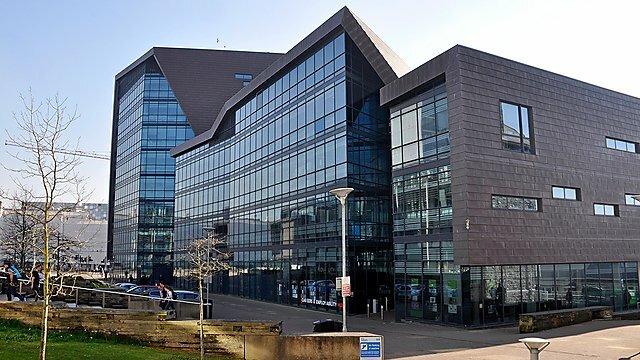 The Roland Levinsky Building is located opposite Drake Circus Shopping Centre in the heart of Plymouth city centre. For more information on how to find us, see Plymouth maps and travel. 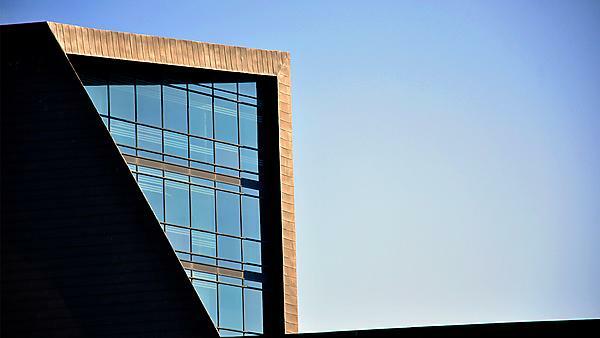 Our prestigious flagship Roland Levinsky Building welcomed students, staff and visitors inside for the first time in 2007. With forward-looking teaching spaces, a new home for the Faculty of Arts and Humanities, the University's student information gateway and The Arts Institute, it’s a striking focal point for the University and city alike. Facilities include the Jill Craigie Cinema, lecture theatres, a gallery, restaurant, office space, general teaching areas, incubation space and facilities for graphics, fine arts, 3D design, and architecture. There is also a small cafe on the ground floor. Featuring exhibitions from world-renowned artists alongside new arts stars of tomorrow, The Levinsky Gallery offers a sometimes provocative, sometimes beautiful and always thought-provoking experience. Previously featured artists include: Award-winning artist Trevor Bell, Turner-prize winning artist Douglas Gordon, leading graphic designer, Ivan Chermayeff, Dorothy Cross, one of Ireland's leading international artists and internationally acclaimed artist and sculptor, Peter Randall-Page. All exhibitions are free and include related events for you to learn about the artists and exhibits through gallery tours and artists and curator talks, as well as fun events for the family. This 12,711m2 building was part-funded by the EC's European Regional Development Fund and South West Regional Development Agency. Concept designers for the project were Danish architects, Henning Larsens Tegnestue, based in Copenhagen. Executive architects were Building Design Partnership, from the practice's Bristol office, who progressed the concept design through to completion. The roof uses roof lights to flood the atrium with natural light and is home to a 6,000 litre rainwater harvesting tank that supplies the toilets. Roland Levinsky, an internationally renowned immunologist, performed the UK's first successful children’s bone-marrow transplant at London’s Great Ormond Street Hospital in 1979 and was one of the first UK scientists to obtain funding for gene therapy clinical trials for treating children with immunodeficiency conditions. A great teacher and mentor who lectured internationally and co-authored many important research papers, as well as editing several books on immunodeficiency diseases. As Dean of the Institute of Child Health in London, Professor Levinsky transformed the organisation into a top-class research institution. 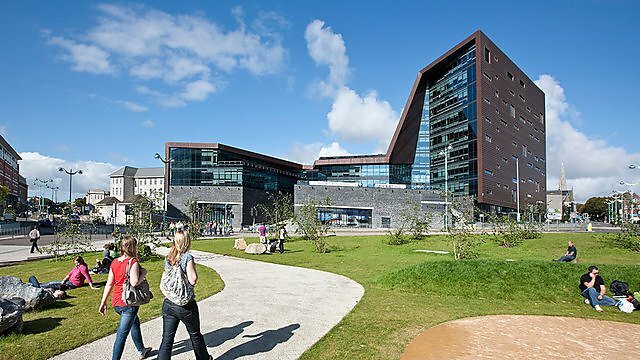 On appointment as Vice-Chancellor to Plymouth University in 2002 he began building a strong university centralised on a single site, enabling the arts and sciences to interact with each other.